Starting this year the IRS is providing an option to individuals who operate home-based businesses to report home business deductions in a much simpler way. A 2013 tax return is the first one when this alternative method is allowed and it states that if you qualify for a home office deduction you can apply formula based on a square footage dedicated to your business multiplied by a rate prescribed by the IRS without complicated calculations and receipt keeping. Maximum deductions is set at $1,500 based on $5 per square foot and maximum of 300 square feet; for example if your business occupies 350 square feet you may have to reconsider the traditional method unless you don’t see a benefit of doing so. You cannot depreciate portion of your home dedicated to trade or business under this method nevertheless you can depreciate assets used in business such as furniture and equipment. Business expenses such as advertising, supplies, wages can still be deducted. You can still itemize the following on Schedule A: allowable mortgage interest, real estate taxes, and casualty loses on the home. You cannot include carryover of actual expenses from a previous year as a deduction; you can apply it again once you switch back to calculating deductions using actual expenses. The alternative to this new method is to continue claiming deductions as in the past. Typically home-based business owners are required to fill out Form 8829 that specify area of the house dedicated to operating business, breakdown of allowable deductions, home depreciation, and carryover of unallowed expenses. You can decide which method you use each taxable year; you can use actual expense method one year and simplified method the following but once you decide on a method you use in a given tax year, you have to go with it. If a house is used by two or more separate businesses, each can determine independently which is a preferred method. If you have more than one qualified business operating in the house, all businesses have to apply the same method to calculate deductions. If you happened to use more than one home in a taxable year for business, only one can use a simplified method; any other home has to apply actual expenses method. 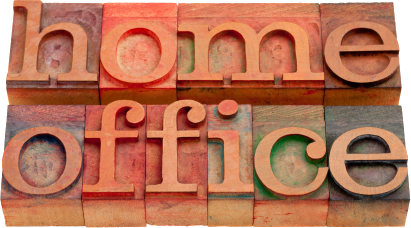 Although this new method of claiming home office deductions is not based on the actual expenses, it is appealing due to less paperwork and time required to carry out the calculations as well as lesser need for record keeping.